Vertical blinds combine beauty, ease of maintenance and excellent light control with a rich variety of textures, colors and patterns. A modern alternative to flowing draperies, the louvers can be rotated up to180 degrees that allow just the right amount of light into the room while maintaining an element of privacy. 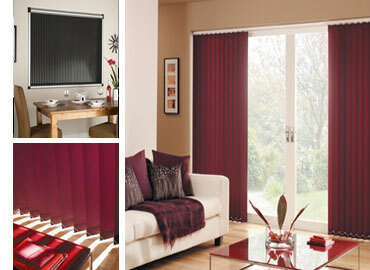 Vertical blinds are available in fabric or vinyl louvers. While fabric louvers are flexible and more durable, vinyl louvers are easier to clean and care for. Unbelievable price on Vertical Blinds in Quezon City (Philippines) company Duralco, Company.